As the European Climate and Energy Commissioner Miguel Arias Canete announced that EU is ready to work day and night for a right climate deal in Paris, it was really out of my control to combine and compare this statement with the EU’s statements and the actions taken for the refugees. "The EU will fight for a very ambitious deal. When you have 196 parties, the easy way out is to agree a minimalistic agreement," Miguel Arias Canete told reporters and he continued "We will work day and night to have an ambitious agreement that is fit for purpose". Clearly the 28 EU member states will be unified and supportive for a new climate deal. Well, that’s fine but compare this statement with the delayed, completely uncoordinated, sometimes racist and finally ridiculous discussion about the EU refugees’ crisis. As The Guardian recently wrote “Months of European efforts to come up with common policies on mass immigration unraveled on Sunday when Germany led a “coalition of the willing” of nine EU countries taking in most refugees from the Middle East, splitting the union formally on the issues of mandatory refugee-sharing and funding. An unprecedented full EU summit with Turkey agreed a fragile pact aimed at stemming the flow of migrants to Europe via Turkey. But the German chancellor, Angela Merkel, frustrated by the resistance in Europe to her policies, also convened a separate mini-summit with seven other leaders to push a fast-track deal with the Turks and to press ahead with a new policy of taking in and sharing hundreds of thousands of refugees a year directly from Turkey”. So, we are ready for an ambitious climate deal but we are 100% unprepared and (many) unwilling to deal with the stream of refugees that are coming mainly from Syria – so how are we going to deal with the roughly 200 million climate refugees that are expected for the next 20-30 years? The question is not theoretical at all. Between 2008 and 2013, some 140 million people were displaced by weather-related disasters; meanwhile, gradual displacements, such as those caused by droughts or sea-level rise, affected the lives of countless others. Today’s policies on climate change cast migration as an impending humanitarian catastrophe and as a failure to adapt to changing environments back home. As a result, policies focus on reducing migration, commonly assuming that overwhelming flows of migrants from poor countries will be flooding industrialized countries. But many believe that climate migration is one of the most important ways for climate adaptation. In the recent report State of the World 2015, it is clear that there are two policy options for climate refugees. The first is to provide migration opportunities for the most vulnerable populations, including improving access to resources, information, and networks to allow them to relocate. 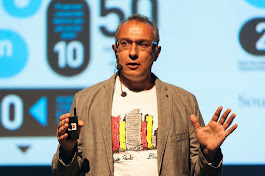 The second opportunity lies in adapting destinations, such as urban areas in developing countries, to host and integrate communities of migrants. One of the report’s contributors, Francois Gemenne commented that “The paramount goal of policy responses should be to enable people’s right to choose which adaptation strategy is best suited for their needs. This implies that people should be entitled with both the right to stay and the right to choose.” He also noted “Current adaptation policies tend to focus on the right to stay. Today, governments are aiming to reduce the number of people who are forced to migrate, ignoring those who might in fact prefer to leave but are forced to stay against their will or ability. Extending the migration options of populations…would require a broader development agenda.” Clearly this is a key – issue of the emerging movement for Climate Justice. There are many different definitions of Climate Justice but I prefer this one, as the Global JusticeEcology Project proposed it. 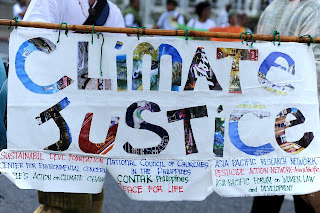 Climate Justice is “The historical responsibility for the vast majority of greenhouse gas emissions lies with the industrialized countries of the Global North. Even though the primary responsibility of the North to reduce emissions has been recognized in the UN Climate Convention, the production and consumption habits of industrialized countries like the United States continue to threaten the survival of humanity and biodiversity globally. It is imperative that the North urgently shifts to a low carbon economy. At the same time, in order to avoid the damaging carbon intensive model of industrialization, countries of the Global South are entitled to resources and technology to make a transition to a low-carbon economy that does not continue to subject them to crushing poverty. Indigenous Peoples, peasant communities, fisherfolk, and especially women in these communities, have been able to live harmoniously and sustainably with the Earth for millennia. They are now not only the most affected by climate change, but also the most affected by its false solutions, such as agrofuels, mega-dams, genetic modification, tree plantations and carbon-offset schemes”. "When we think of climate change, somewhere we try to safeguard our personal interests. 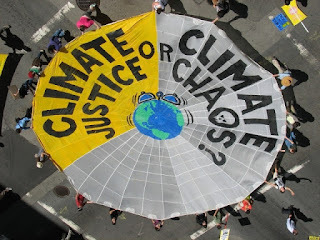 But if we talk of climate justice, we spontaneously resolve to keep the poor safe during natural disasters". So let me finalize putting one more question. 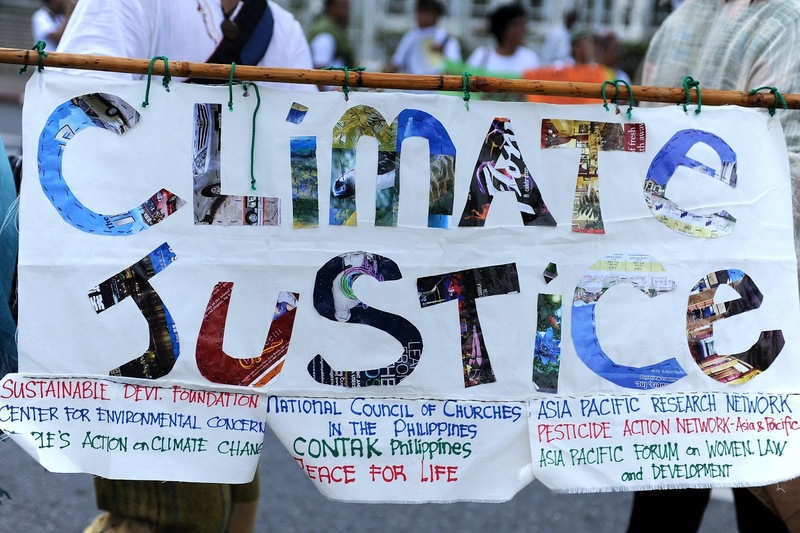 How is it possible to have a fair climate deal without Climate Justice? Is it possible, at all, to have a successful fight against climate change without a global, coordinated and fair response to the climate refugees? And how about considering climate migration as one of the key-ways for adaptation? I will come back to those questions very soon, but until then think that we have to change our attitude: mass migration and massive refugees’ streams should not be considered as crisis anymore – they are the new normal reality in the planet we made! Climate Change is as alarming as Paris Attacks!